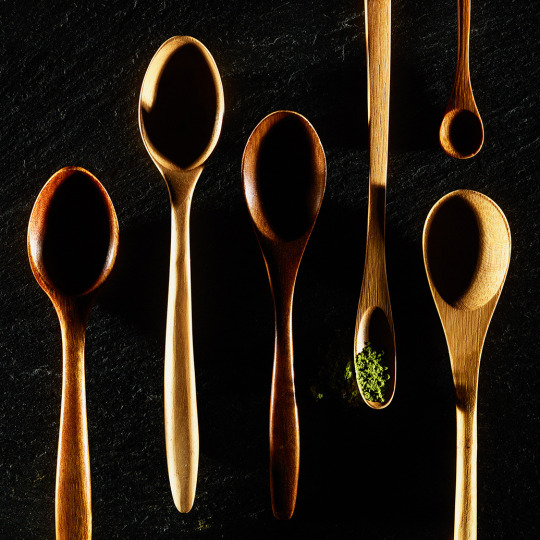 A collection of handcrafted spoons from around the globe. Shot with a Phase One Medium Format Digital Camera with a small depth-of-field for maximum sharpness. The image was lit with small grids from the sides and slightly below set – to create edge lighting.